Summer continues to beckon, her warm arms embracing us after a harsh winter. Not unlike this past weekend at Rittenhouse. 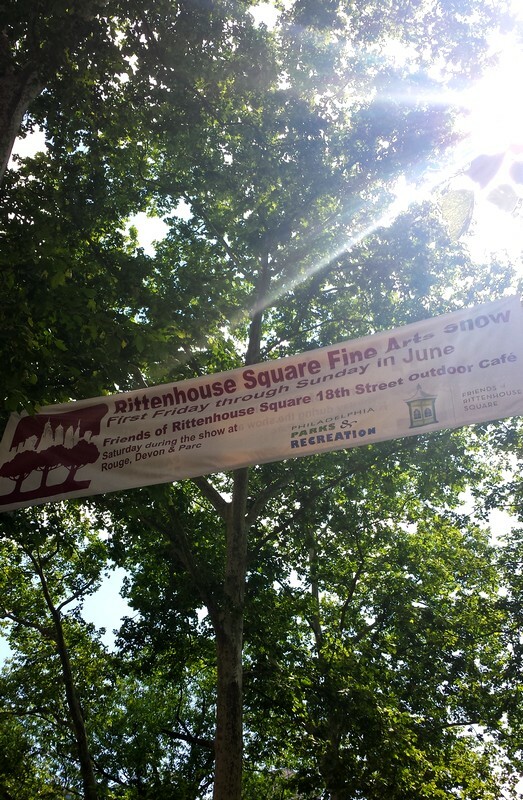 The 83rd Annual Rittenhouse Square Fine Art Show called many—upper-class Philadelphians, tourists and art lovers alike. 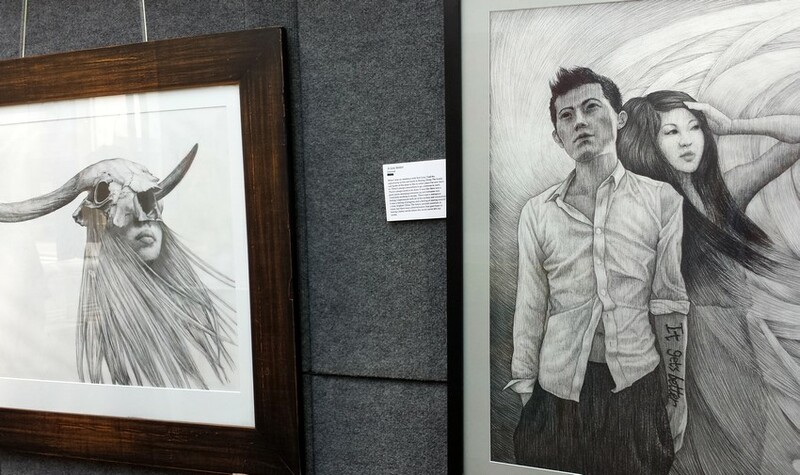 From June 6-8, more than 140 artists gathered to celebrate their work once again, earning the show recognition on uwishunu. The weather was beautiful and the crowd large and lively. My tent was in a great location, the perfect chance to people watch. The artists ranged from painters to sculptors and even organic food farmers. I was excited to be visited by my friend and photographer Howard, whom I met at the 2013 RAWards. 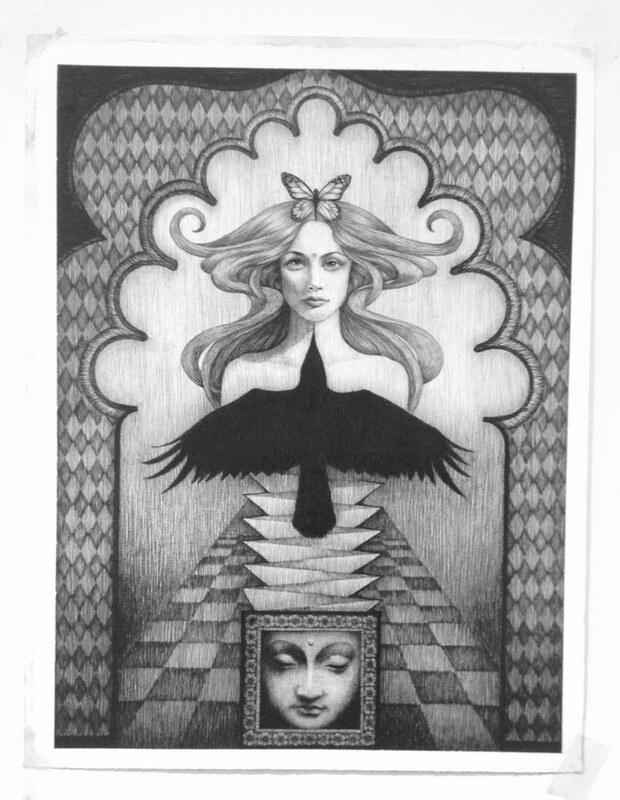 By the end of the show, I sold Bird of Enlightenment. Black Bird, Summer 2, Conflict of Flight and a piece in progress were also sold before the show. I’m thrilled that they all have owners and grateful for the opportunity to be a part of Rittenhouse. It was a pleasure being there. 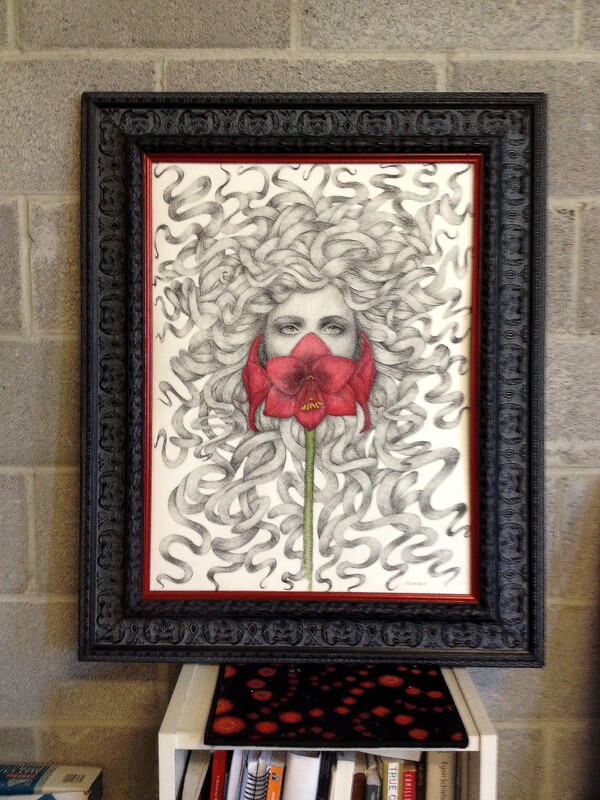 I have been spending the past few weeks working on a new piece called Amaryllis. Inspiration grew from the Greek myth of Amaryllis and Alteo. I initially intended for Amaryllis to be a triptych, a piece consisting of three panels (like Monkey). I began posting about the piece on my Twitter (@aalexandrin) and Facebook and promoting its appearance at Rittenhouse. Once I mentioned the completion of the first drawing to some of my past collectors it gained immediate interest, selling before I had the opportunity to finish the full set and why I was unable to showcase it this past weekend. 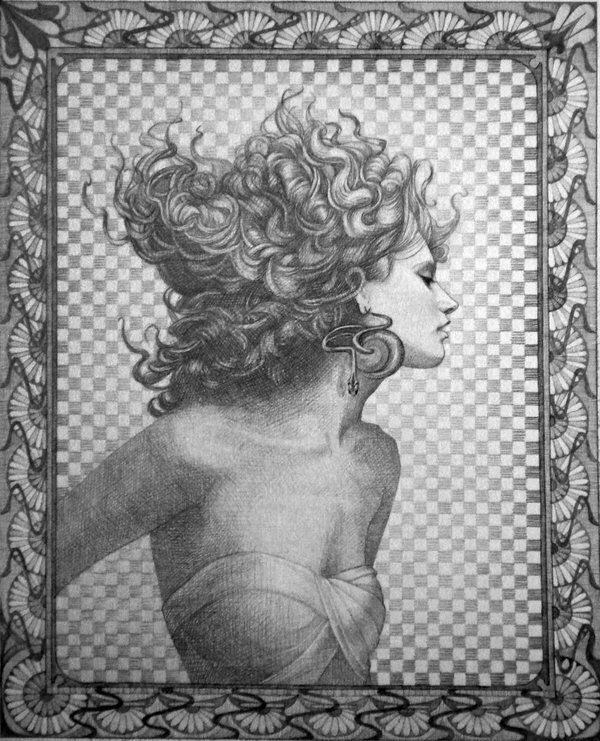 As an artist, setting time aside to draw is the most crucial part of the practice. With every stroke I’m able to explore another facet of the piece, the story I’m trying to tell. That time allows me to explore untapped aspects of the self as well. Comment and share your thoughts. 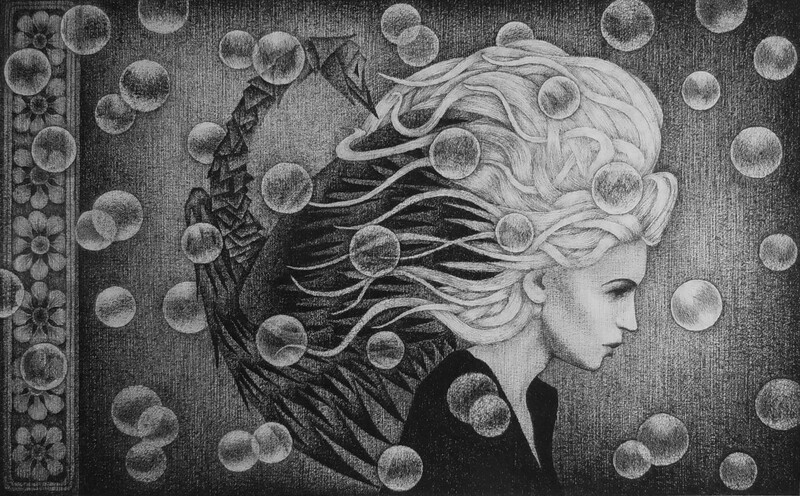 How would you interpret the drawing? 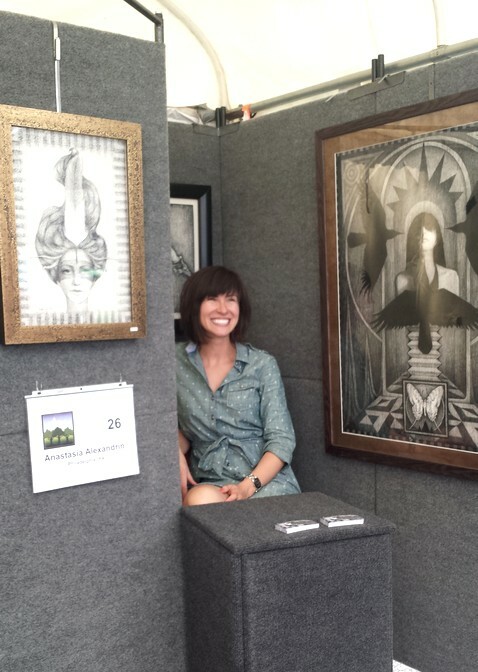 I’ll be in Pittsburgh this weekend (June 13-15) for the Three Rivers Arts Festival. Until then, if you’ve received a business card within the past 6 months (it has Fly Indiscriminately on the back) it has the wrong email address. Please send all requests to aalexandrin@me.com. I’m so thankful to be doing what I love, though it isn’t always easy. Like the story of Amaryllis teaches us, dedication can lead us toward the most unlikely of goals.